PRACTICAL HELP - put you in touch with agencies who can help. FINANCIAL HELP - by referring you to a budgeter who can help you manage your money. BABY EQUIPMENT -by providing the equipment you will need for your new baby including cots, bassinettes, pushchairs, highchairs etc. CLOTHING & LINEN - by ensuring you and your family has all they need to be safe and comfortable including clothing and bedding. The Society helps families who find themselves facing financial hardship by assisting them in finding the help they need to get back on track. The Society offers practical help for those struggling to provide the essentials for themselves or their family, this can be a bed to sleep on, food or clothing, or other essential household items. We also provide a financial mentoring (budgeting) service by appointment. Anyone can apply for help and support from the Society. The Society does receive many requests for help, and has to make difficult decisions. The Society would like to help everyone but this is not possible, so financial applications are decided by one of our Committees (called Conferences). The Society targets help to those who can demonstrate that they are trying to change their life and the lives of their family for the long term. Helped move an elderly, disabled couple with no family into a new rental property. They approached The Society for help, and a team of volunteers and a van were arranged and moved the couple's possessions to their new home. Provided firewood to help keep a house warm for a woman whose child suffers from asthma. They lived in a damp, cold house. Provided clothing to a women and her children as they fled domestic violence in Australia. They had returned to New Zealand with just the clothes they were wearing. The Society also assisted by providing furniture and household items and food until they were settled. A local homeless man was suffering from a chronic health condition over winter and The Society arranged for a GP and paid for his medical treatment, as well as transport to get him to and from the GP's rooms. The Society has assisted many families by giving them essential baby equipment, for example; cots, pushchairs, high chairs, basinettes. The Society has provided sleeping bags and blankets to people temporarily found themselves sleeping in their cars. 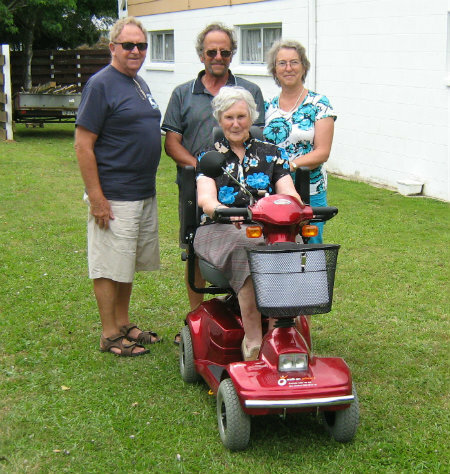 "I came to New Zealand 2 years ago, it took everything I had to get here so landing with just a few suitcases and nothing else, I got taken to Vinnies and they helped me and my two children with food, a cot, lounge suite and dining suite, beds for my daughter and myself, linen, towels, blankets and warm clothing for the winter. At a difficult time in my life Vinnies made it easy by bringing the furniture to us. I literally had nothing if it wasn't for them I have no idea what I would have done especially not having any family nor friends. I will be forever grateful. As I thought I was getting on my feet my situation changed again for the worst and I knew I could turn to Vinnies for help, I called them, and they have just such passion for what they do and are always willing to help. Vinnies helped me financially to get back on to my feet without them I probably would have ended up in my car with my two children. 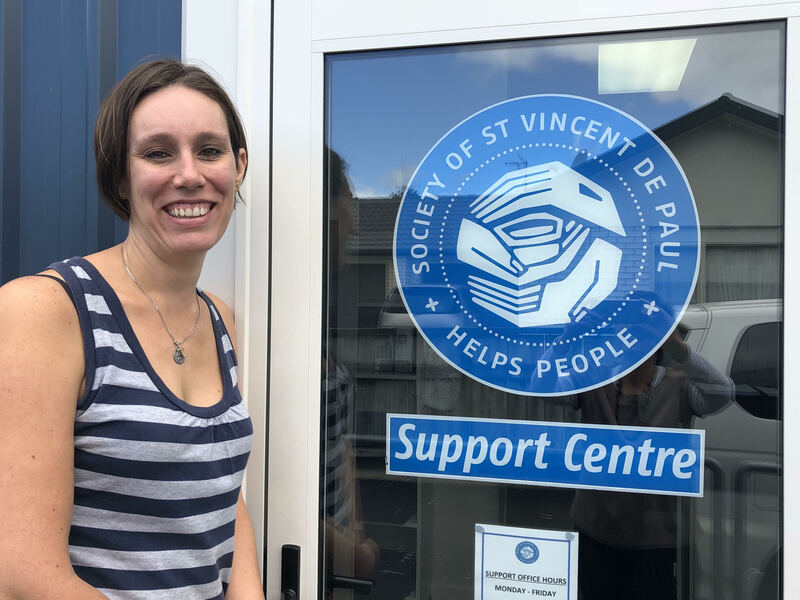 Vinnies help me with food for myself and my two children every time I see them - they always ask how we are doing, so it's a real sense of caring for each and every individual no matter where you come from. Thank you Vinnies for your ongoing support and bless everyone of you." Many people require a small amount of help from time to time in their lives. Sometimes people require longer term support due to their particular family circumstances. Whatever your issue, The Society will try to assist you, or direct you towards other services who may also be able to help.